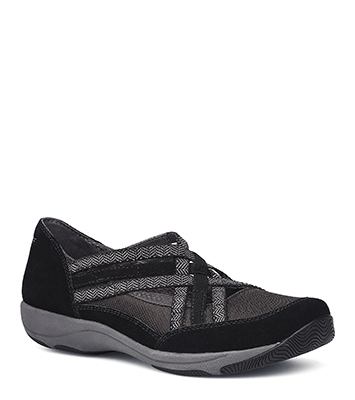 The Dansko Black Suede from the Hilde collection. Elastic cording provides the perfect amount of stretch for a secure yet comfortable fit. A structured front helps prevent the toe from losing its shape.